It's almost here... and I couldn't be more excited about it. Let's face it, a gluttonous day spent eating, drinking, and laughing amongst family is just pure awesomeness. This year, I have a bit of a heavy heart about hosting. Although I adore everything about hosting... from the table decor to the menu planning, I have never hosted a family holiday. Every year we have always gone to my parent's house where my mother strides through the menu and makes it look effortless and easy. My father then enters the room with his carving knife and gets to work while all of the kids gather around the table and tell stories, sip wine, and laugh over a beautiful meal. This year my folks have decided to spend the latter part of November out gallivanting and traveling Nevada since they are now both officially retired... and I am elated for them. They will, however, certainly be missed. It is in their honor that I host this year. So, here's to you Mom and Dad; I am so thankful for you! I love any get together where it is socially acceptable to consume champagne at noon. What better way to great your guests as they arrive? 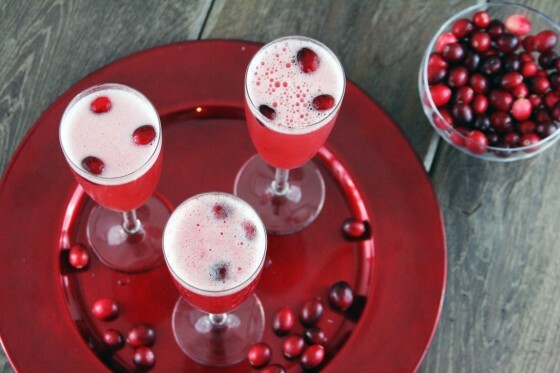 The original orange recipe tastes good, but this little holiday twist looks delightful, doesn't it? The complete recipe can be found at: My Life as a Mrs.
Photo Source: My Life as a Mrs. This really doesn't really consist of any one recipe. 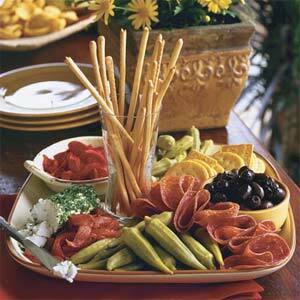 It's cured meats, olives, fresh mozzarella, and a few veggies nicely spread onto a serving tray. Let's face it, there will be more than enough food going around, so a nice light little snack is more than enough. We are going with the classic ole' bag method. Rinse turkey, rub it with butter, salt, and pepper. Stuff it, throw it in the bag, and cook it... low and slow! Nothing crazy here, just the classics. For tips, tricks, and information, you can look at the Reynolds Oven Bag website. Again, nothing fancy, but full of flavor. Gee, guess who's recipe!? Yup... Martha. The next one is hers too! For the full recipe, go here. I am jazzing up my stuffing this year. I love the classics, but wanted one dish to play with and that dish was stuffing. I decided to make it even more unhealthy by adding sweet Italian sausage. Sausage makes everything better. Although I know i won't follow the recipe exactly, I am basing it off of one I found at Epicurious. Here is the one I will use as my base. I had you at cognac, didn't I? Martha Stewart does it again! Her recipe is here. This year, I am going to make a home-made version and leave the Campbell's soup version behind. 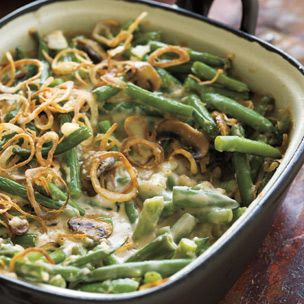 I am not ashamed to admit that I love that version, however, I have some help on the desserts this year, (more on that in a bit,) so I will have a little more time to give to my green beans. I originally saw this on Annie's Eats, and if she made it and posted it... then it turned out good. 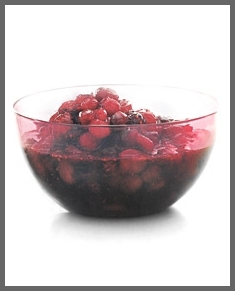 The full recipe can be found above at Annie's Eats, or here at William Sonoma. Full recipe is at Sweet Life. My sister-in-law Anna has had her eye on this recipe for quite some time. She offered to make this to bring to the feed and I pleasantly accepted. It's a Barefoot Contessa recipe, so it has to be good, right? The Recipe. 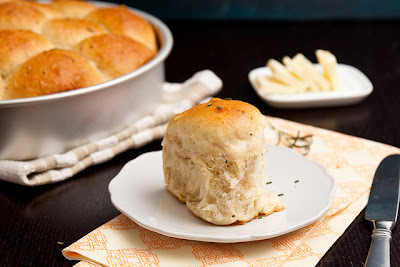 Soft, pull apart rolls are a MUST. The recipe I will be using is here at the Confections of a Foodie Bride blog. You were waiting for this part, weren't you!? And I made you go through all that other stuff first! I am so mean, I know. This year, I got out of making dessert because both of my beautiful sister-in-laws offered to make it for me. I was more than pleased to take them up on that offer as I knew it would alleviate time off of my hands, but most importantly because they are wonderful bakers. So delicious. Yet again... Barefoot Contessa! Nothing says Thanksgiving like Pumpkin Pie. Classic and tasty. This is one tradition you can't break! There you have it! That's everything we are putting on the table this year! It is going to be quite a meal! 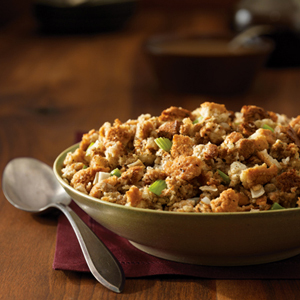 What are some of your favorite Thanksgiving recipes, meals, and dishes? I would love to see! Have a wonderful, fun, and SAFE Thanksgiving this year.